Purchase online ATMEGA2560-16U SMD Microcontroller in India at low cost from DNA Technology, Nashik. 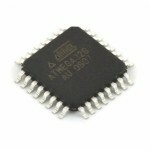 ATMEGA2560-16AU is the same Micro-controller that is used in Arduino Mega. SO you what to develop your own Arduino mega or develop a product based on Arduino Mega but you want to make a customized pcb then you will definitely require this IC. 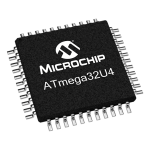 The high-performance, low-power Atmel 8-bit AVR RISC-based microcontroller combines 256KB ISP flash memory, 8KB SRAM, 4KB EEPROM, 86 general purpose I/O lines, 32 general purpose working registers, real time counter, six flexible timer/counters with compare modes, PWM, 4 USARTs, byte oriented 2-wire serial interface, 16-channel 10-bit A/D converter, and a JTAG interface for on-chip debugging. The device achieves a throughput of 16 MIPS at 16 MHz and operates between 4.5-5.5 volts. Please Note this is Not a Boot-loaded IC. 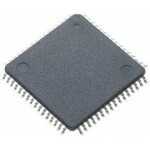 ATMEGA64-16AU SMD AVR MicrocontrollerThe ATMEGA64-16AU is a 8-bit low-power CMOS Microcontroller Uni..
ATmega32U4 MicrocontrollerAtmega32U4 is the Micro-controller that is used in Arduino Leonardo and Ar..